You are going to Watch Naruto Shippuden Episode 102 English dubbed online free episodes with HQ / high quality. Stream Anime Naruto Shippuden Episode 102 Online English dub Regroup! Naruto and his teammates meet Shizune, Ino, Tenten and Lee. The ninjas are split into three teams by Kakashi. The Sealing team is made up of Shizune, Sakura, Ino and Hinata. 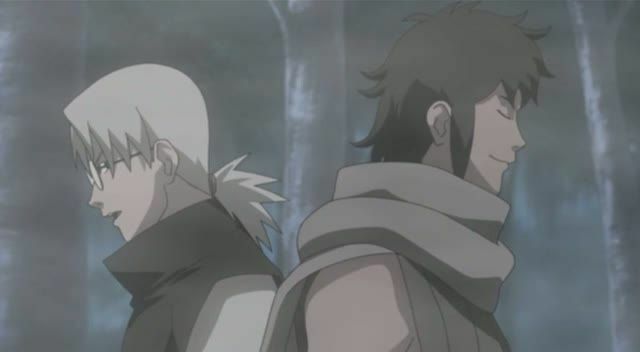 Kakashi, Naruto, Sai and Shino form the Fighting team and the Guarding team consists of Yamato, Lee, Tenten and Kiba. Tenten passes Naruto a scroll for the mission that the Fifth Hokage gave to her. In a new development, Rinji turns out to be Kabuto’s spy on Guren.